Raise a Green Dog! : What to do with the doo? What to do with the doo? One thing that pups produce that leaves the largest impact on the environment is our poo. It's not just our poo, but how our pawrents get rid of the poo. They bag it in plastic bags from the grocery, or use the plastic bag that the newspaper comes in and add it to the garbage, where it ends up in a landfill working to biodegrade for hundreds, maybe even up to a thousand years. Us pups can teach our two-leggers a lot about keeping the environment much more friendly. Here are some environmentally friendly ways to take care of your pups doo! Flush it - yep, we said it, flush it! If you don't have a super large dog, flushing is very envronmentally friendly. And better yet, flush with your two-leggers poo to save on water. Get yourself a doggie dooley, and let the poo breakdown in your own yard. If you live in a milder climate this is a wonderful alternative (they don't work as well in colder climates). Or try making your own dog waste composting system! Or better yet, try vermicasting and use the results to fertilize your lawn and garden! Use only biodegradable poo bags when you are traveling. Sometimes it's not possible to flush when you are traveling. So be sure and use poo bags that will breakdown much more quickly. If you get a chance, have some poo fun and and visit my Squidoo Lens The Scoop on Doo! where you can learn lots about your pup's poo. I believe poo may only be composted safely sourced from herbivores. Poo from carnivores contains dangerous pathogens. This is a great idea- we're going to have our mom make a poo composter. And the article you linked to was excellent. Great post! Included a link to a recent blog post about plastic bags being used to pick up poop! You have some great tips on different methods of disposal. 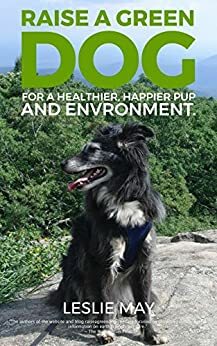 This is such an important topic and dog owners need to start thinking more about their dogs impact on the environment.